This solution requires no IT specialist and no local installation other than creating an Account on this website and downloading the app to team members' smartphones. A setup guide is provided including a tutorial video to get you started. Defaults have been pre-installed to get you up and running faster. During the trial you may invite as many team members as you like to test drive this product with you as the master administrator. For international organizations the mobile app comes in 20 languages to give your staff a local feel. 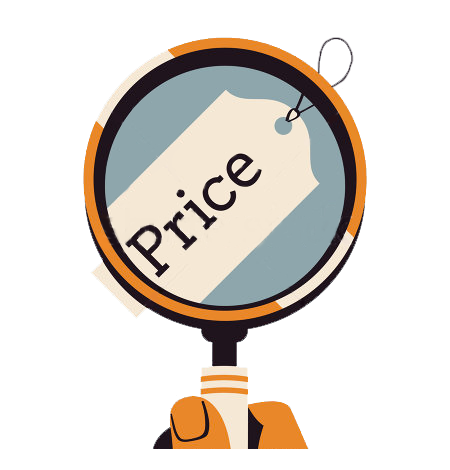 Our pricing is simple: one fixed price per team member per year and no additional setup or any other cost. As a subscriber you will receive regular updates which include new features and optimizations and support will be provided via email, chat messenger and telephone at no extra cost. Tracking time: Track the time spent on various tasks and projects and later analyze your productivity. It is effortlessly simple and available on all platforms. Add time manually: Not all time tracking needs to be done in real time. Add time later for activities that have already happened. Time rounding: Round your time entries in your reports. Choose to round either up, down or to the nearest and choose preferred rounding range. Billable rates: Insert hourly rates which are bound to time entry duration. Therefore you'll see how much you earned with each particular job. Company logo: Uploaded logo will be displayed on your reports. Summary, Detailed and Weekly reports: All of your data can be viewed in reports section. Pick the level of detail by choosing the report type; filter and sort your data, view it in bar charts and export your report. Exporting (PDF, XLS, CSV): Export your personal data from Weekly, Detailed and Summary reports page to preferred format. Team Dashboard : Team tab allows you to check the registration status and activities of your employees. Helps you to find out, who tracked the most time during last days and most importantly - shows you what everybody is tracking in real time. Project time estimates: You can estimate the time you think you'll need for a Project, then you can see how your actually tracked time compares to that. Deactivate users: You can temporarily deactivate a team member without having to completely remove them from your workspace. Members listed in the Inactive tab are not billed for. Priority support: Your messages will always go to the front of the queue. Support in English, German and French. Telephone support during working hours.